Looking for those final touches that will add a custom feel to every part of your vehicle? Well PIAA Miniature Bulbs were designed to do just that. Mirror Orange – Looking for a way to increase the “cool-factor” of your clear turn signal lenses? PIAA has the answer – Mirror Orange 1156 and 7440 bulbs. When installed in your clear lenses the bulbs are nearly invisible but when illuminated provide a street legal, orange color that is sure to get noticed. PIAA’s new mirror orange bulbs will have your friends asking – How’d you do that? 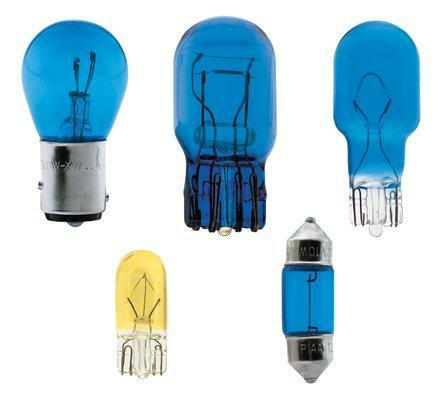 Wedge Bulbs – Wedge Bulbs have a wide range of applications; turn signals, side marker lights, and parking lights. Match these bulbs to both headlights and other accessory lights for a sleek, unified appearance. Xtreme White – Miniature incandescent Xtreme White Bulbs. The closest color yet to H.I.D. (High Intensity Discharge). Match these bulbs to both headlights and other accessory lights for a sleek, unified appearance. These miniature bulbs have a wide range of applications; turn signals, side marker lights, dome lights and parking lights.